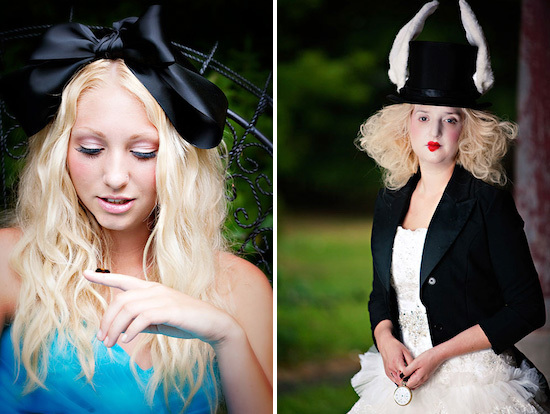 I can't even begin to tell you how excited I am to share this spectacular Alice in Wonderland photo shoot with you today. Lisa of Lisa Walsh Photography shared this shoot with me and while it's not a wedding - it's truly inspiring. The dresses are out of this world and I love the idea of incorporating moss and mis-matched dishes into any event. Lisa and Christy love collaborating on shoots that allow them to have full creative license - and this shoot is definitely that. Boy oh boy can this vendor team be creative. Lisa writes . . ."As much as I love shooting weddings, I *really* love having the time to pose people and go for a more high fashion look. I would love to incorporate that into my weddings more given the time on a wedding day." Christy's husband, Jeff, built the miniature room (don't you love it?) 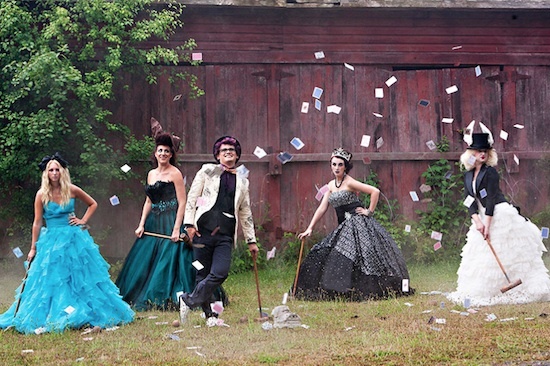 while Christy made the Mad Hatter’s jacket, and together they came up with the styling for the entire shoot.